Last night I turned up for my first session with the Medway Runners. I went there straight from work, and when I left work I was a bundle of nerves and shaking hands. Meeting new people is scary! I turned up at the meeting point and immediatly spotted the group in their lime green team colours. There was about twenty of them! I sucked up my courage and marched myself over and introduced myself. It helped that I had been active on the facebook group and had spoken to a couple of people through that, so when some people told me their names I had a vague idea of who they were. The beginners group (my group) were discussing the distance we were going to be doing – 2 miles along a mostly flat road. Though this soon changed to doing 5k (3 miles) much to the groups horror. We set off along the route, and after some discussion it was decided we would do 4k instead of 5k (Yaay). The longer distance runners turned off to do a longer route after 1 mile, and the beginners group continued on the 4k route. On we went. 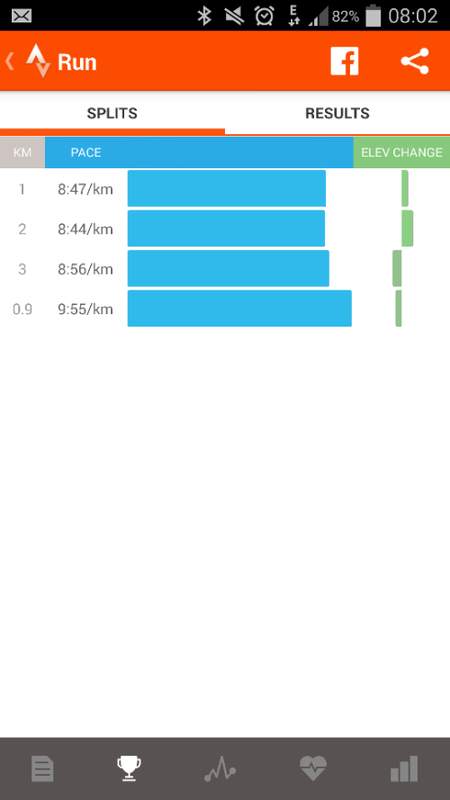 I pushed myself in the first running stint, and had to walk at 0.8km. I didn’t mind too much because I wasn’t the only one run/walking. I found running with people helped me to pace myself and push myself a bit more. Though I do also think that I could have pushed myself to run for longer on the way back to the meeting point – I was middle of the pack on this run and ended up alone between the front runners and the rest of the group which is where I think I didn’t do as well. A bit of a revelation after running on and off on my own for 2 years! Getting back to the meeting point felt great. I was buzzing from the run and everyone had made me feel really welcome. I also tried out a new app on this run – Strava. It’s a free app and it does my splits! I was surprised at how quickly I did each kilometer, but I’m looking forward to shaving time off them! Next group run is on Thursday, I think I’ll definitely be going back!